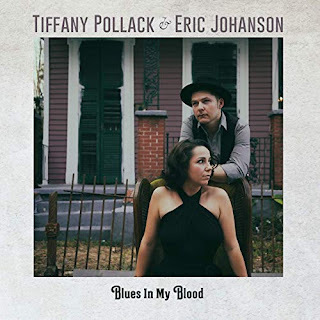 I just had the opportunity to review the most recent release, Blues In My Blood, from Tiffany Pollack & Eric Johanson and I really like it. 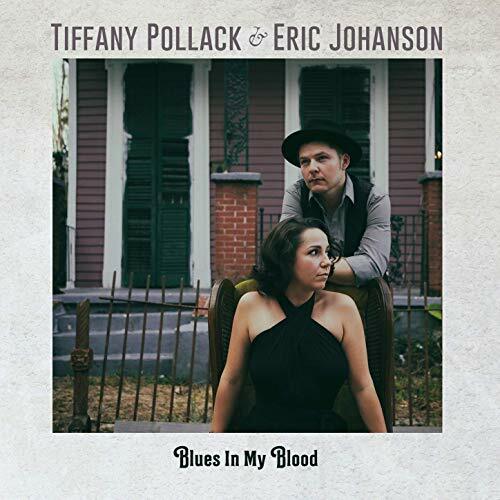 Opening with title track, Blues In My Blood with it's fat acoustic slide work, courtesy of Eric Johanson, this track sets a smoky stage for the powerful vocal lead of Tiffany Pollack. With Jack Miele on bass and percussion, Brentt Arcement on drums, organ and piano this is a super opener. Memories To Forget has a chilling guitar solo laid over a warm melody, lead vocal primarily by Johanson, haunting harmonica by Johnny Sansone and excellent drum accent by Acrement. 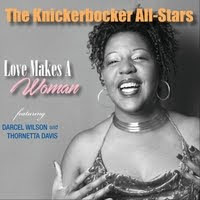 Pollack demonstrated over and again the richness of her voice and her excellent blues phrasing. On ballad, Michael, she is rock solid and Johanson's amplified resonator body guitar work is really nice. A cover of Keith and Mick's No Expectations really flows nicely with Johanson back at the helm with ample harmony by Pollack. Very nice. Shuffle track, Do I Move You is another really nice showcase for Pollack's vocals with poise and style. 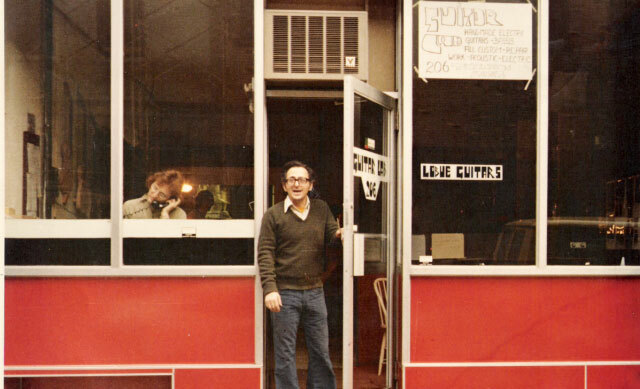 Johanson shows a really nice feel for straight blues guitar lead and with Phil Wang on bass and strong organ and piano work by John Gros this track sails. Pollack and Johanson venture deeper into blues rock on Slave Of Tomorrow with a super groove laid down by Miele and Arcement. Johanson's vocals are excellent and I love the lumbering pace. Excellent! Get Lost With Me is the absolute radio track on the release (except it's almost 5 minutes long) with a great Ray Charles feel and solid lead vocal and aggressive blues guitar riffs by Johanson. Super nice. Wrapping the release is an absolutely wonderful cover of Peter Seeger's If I Had A Hammer. 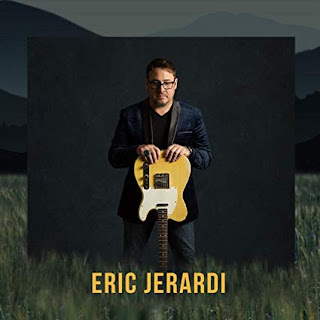 Totally destructuring the original, putting it back together with a strong bottom line, organ excellent vocals and soulful guitar, this track is such an excellent closer. If you wonder if I liked this release...read the review again!